Record-breaking world Champion sprinter. Won the G1 July Cup, the Haydock Sprint Cup by four lengths and broke his maiden at two in the G2 Mill Reef. Rated 132 by Timeform and the best by Dark Angel. By DARK ANGEL (2005) Middle Park S (G1), Mill Reef S (G2), etc. Sire of 734 foals aged three and up, including HARRY ANGEL, BATTAASH, HUNT, LETHAL FORCE, MECCA’S ANGEL, PERSUASIVE, ALHEBAYEB, ARDHOOMEY, BIRCHWOOD, ESTIDHKAAR, GUTAIFAN, JULIET CAPULET, RAGING BULL, SOVEREIGN DEBT, ANGEL’S HIDEAWAY, EXOGENESIS, LILY’S ANGEL, MARKAZ, MIDNIGHT CROSSING, NATIONS ALEXANDER, REHANA, HEERAAT, YAFTA, etc. HARRY ANGEL (c Dark Angel) Champion, see Race record. 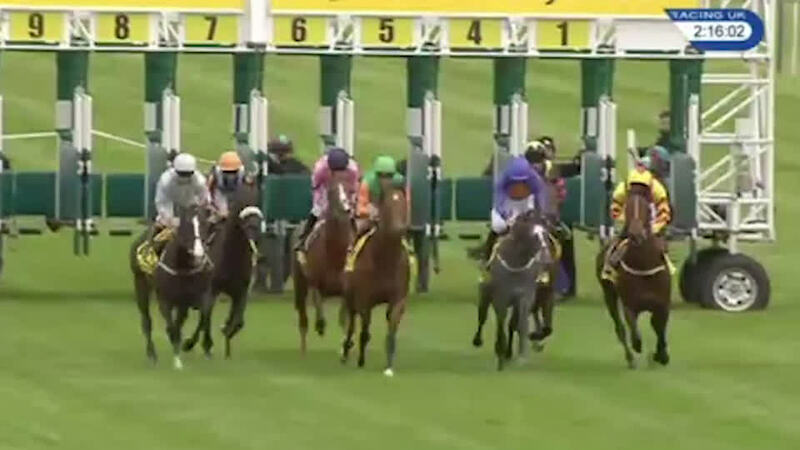 GOLDEN JOURNEY (c Nayef) 2 wins (9½f-12f) at 3 and 4. XTENSION (c Xaar) 4 wins at 2 to 4, Champions Mile (G1), twice, Vintage S (G2), 2nd Coventry S (G2), Sha Tin Trophy, Hong Kong Classic Mile, Stewards’ Cup, Hong Kong Gold Cup, Hong Kong Derby, 3rd Prix Jean Prat (G1), Dewhurst S (G1), Hong Kong Mile (G1), Jockey Club Mile (G2), Hong Kong Gold Cup. Sire. MRS GALLAGHER (f Oasis Dream) Lansdown S, Polonia S.
OUR JOY (f Kodiac) Winner at 2. A LA CARTE (f Caerleon) October S, 3rd Atalanta S.
WATHAB (c Cadeaux Genereux) Round Tower S, 2nd National S (G1), Tyros S, 3rd International S (G3), Rochestown S. Sire. MINNEAPPLE (c Riverman) Seminole S (G2), 2nd Fayette H (G2), Board of Governors’ H (G3), 3rd Donn H (G2), Hawthorne Gold Cup (G2). Sire. Immerse (f Cox’s Ridge) 3rd Gazelle H (G1). Dam of: STEPHEN GOT EVEN (c A P Indy) Donn H (G1). Sire. INDY GLORY (f A P Indy) Videogenic S, 2nd Black-Eyed Susan S (G2), GRAND MERGER (f A P Indy) Maid of the Mist S. Grandam of: ARTEMIS AGROTERA (f Roman Ruler) Frizette S (G1), Ballerina S (G1). Duchess Grace (f Cox’s Ridge) 2nd Wayward Lass S. Dam of: MARY MURPHY (f Coronado’s Quest) Sugar n Spice S, Manatee S.
Let’s Get Even (f Thunder Gulch) Unraced. Dam of: GET SQUARE (c Redoute’s Choice) Norman Robinson S (G3), 3rd Dulcify H. Sire. LYPHARD’S PRINCESS (f Lyphard) Prix de l’Obelisque, 2nd Prix de Seineet- Oise (G3), Prix de Cagny, Prix de Honfleur. Dam of: PRIVATE MAN (c Private Account) Ohio Derby (G2). Sire. Harry Angel stands his first season in 2019. Mill Reef S (G2), 6f, Newbury, by 2½l, beating Perfect Angel, Global Applause, Grey Britain, Unabated, Legendary Lunch. July Cup (G1), 6f, Newmarket, beating Limato, Brando, Caravaggio, Intelligence Cross, Growl, Intisaab, The Tin Man, Mr Lupton, Tasleet. 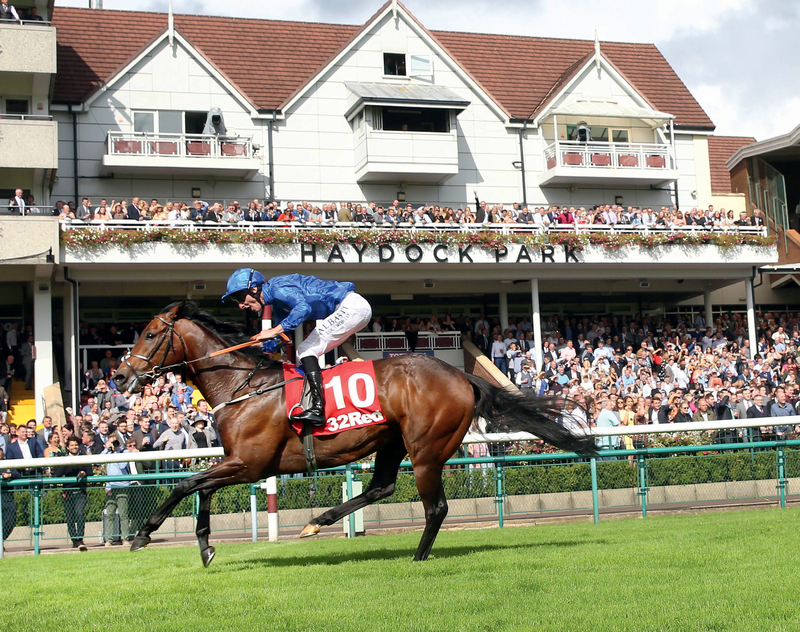 Sprint Cup (G1), 6f, Haydock Park, by 4l, beating Tasleet, The Tin Man, Blue Point, Cougar Mountain, Mr Lupton, Growl, Kimberella, Brando, Queen Kindly, Magical Memory. Sandy Lane S (G2), 6f, Haydock Park, by 4½l, new course record 1:08.56, beating Second Thoughts, Mubtasim, Poet’s Vanity, Medicine Jack, Alphabet. Commonwealth Cup (G1), 6f, Royal Ascot, to Caravaggio, beating Blue Point, Bound For Nowhere, Mr Scarlet, Tis Marvellous, Straight Right, Visionary, Intelligence Cross, Legendary Lunch, Yalta. Pavilion S (G3), 6f, Ascot, to Blue Point, beating Mubtasim, Tis Marvellous, Yalta, Sir Dancealot, Mokarris, Legendary Lunch, Rosie Briar. British Champions Sprint S (G1), 6f, Ascot, to Librisa Breeze, Tasleet, Caravaggio, beating The Tin Man, Brando, Washington DC, Donjuan Triumphant, Quiet Reflection, Danzeno, Alphabet, Intelligence Cross. 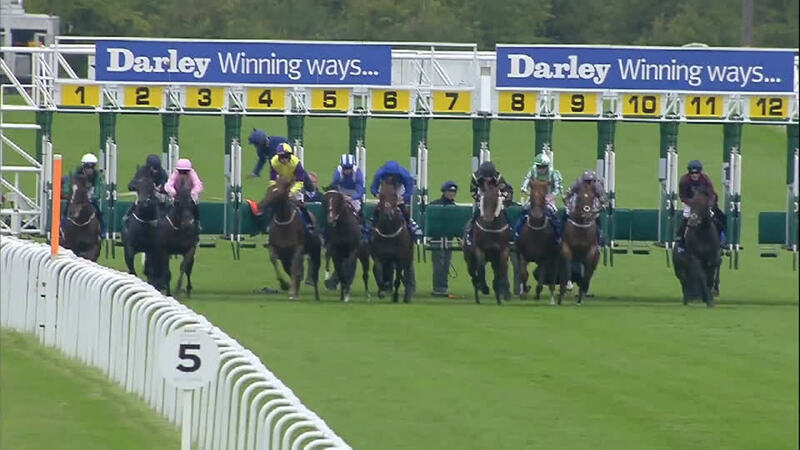 Duke Of York S (G2), 6f, York, by 2l, beating Brando, Sir Dancealot, Ornate, Artistica. British Champions Sprint S (G1), 6f, Ascot, to Sands Of Mali, beating Donjuan Triumphant, Brando, Sir Dancealot, Projection, The Tin Man, Tasleet, Limato, Son Of Rest, Librisa Breeze, Speak In Colours, Dream Of Dreams.